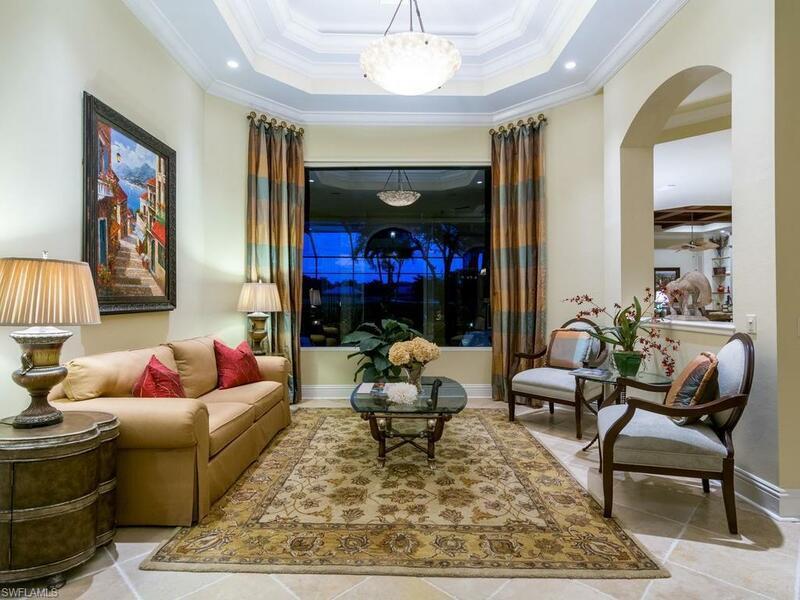 H.13268 - Magnificent views of the golf course and lake in Lake Forest of Shadow Wood at the Brooks! Sophisticated luxury abounds through gorgeous Cantera doors with stunning features to follow in this two-story residence w/Jerusalem Limestone, wood & carpet floors, custom built-ins, detailed tray ceilings, recess & accent lighting, Hunter Douglas window treatments and integrated sound system. 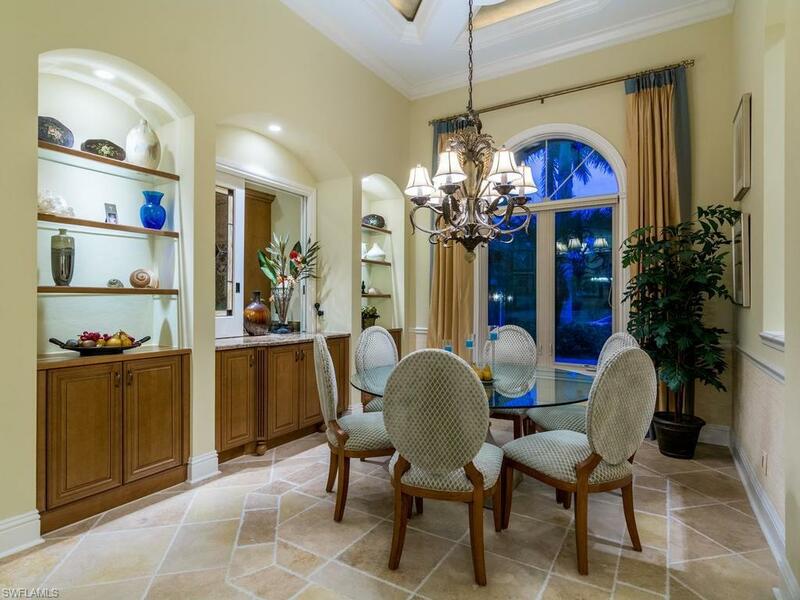 Formal Living and dining rooms with an adjacent butlers pantry w/wet bar & wine cooler. Chefs Kitchen with breakfast bar & nook w/bay window, Thermador appliances, Kitchen Craft cabinetry, custom built hood vent, granite countertops & center island. Private master suite w/His & her dual walk-in shower, sitting area and lanai access. Office/den and 2 guest suites on the 1st floor w/additional suite on the 2nd floor w/living room & balcony w/lake & golf course views. Entertain in the family room with 90disappearing sliding glass doors flowing to covered loggia, natural gas fireplace, summer kitchen & pool w/sunken spa overlooking holes 1 & 9 on the North Course. New HVAC in 2016, full hurricane protection around the house with electric shutters at lanai.